Home Outfit Aunt Barbara's Tupperware Party! Some of you may remember that I have been craving for an old fashioned Tupperware party for ages and now I finally went to one! Now I didn't get into the Tardis and travel back in time but I did attend an event called Aunt Barbara's Tupperware Party at the Westbury Theater in Long Island, NY. It was my first time attending a show or event at this theater and I really liked it. I heard Frankie Valli is performing in October there and I of course I now need to score some tickets. I mean, Frankie Valli!!! 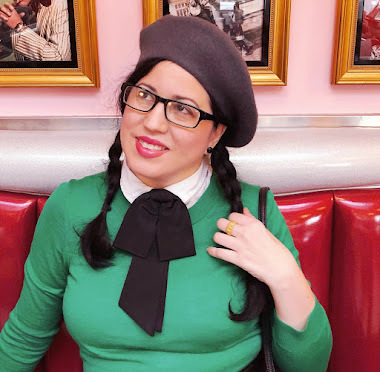 I decided to attend my first Tupperware party in full 1960's fashion of course. I was also super excited to see Aunt Barbara in action. 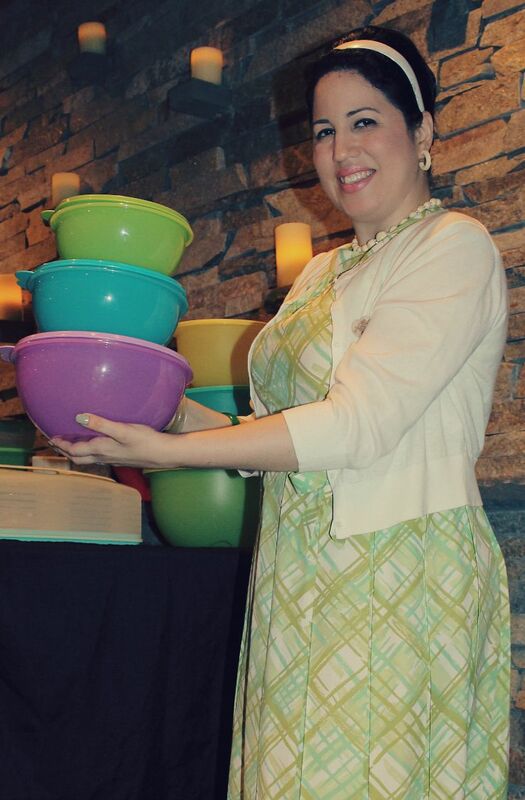 I have heard so much about her and at the event I found out she is currently the top selling Tupperware seller in all of North America and Canada! After watching the show and her demonstrations I can now see why. After the demonstrations of all the fabulous Tupperware, Aunt Barbara did a few giveaways. It was so much fun. I waited so long to attend a old fashioned Tupperware party and this one did not disappoint. Now I am thinking of hosting my very own for my birthday in January. Tupperware, cake, Aunt Barbara, and a few friends? I think that's a good way to celebrate the big 4-0! I've always thought tupperware parties to be very interesting! Glad you were able to attend one!! And I just adore your outfit! <3 That color is so pretty! You look amazing.. and I can see you've had fun. I love it! So fun!!!! WOW! you are super lucky! its been years since I attended a good old fashioned Tupperware party. Aunt Barbara's outfits were stunning. correction: yours and Aunt Barbara's outfits were stunning.